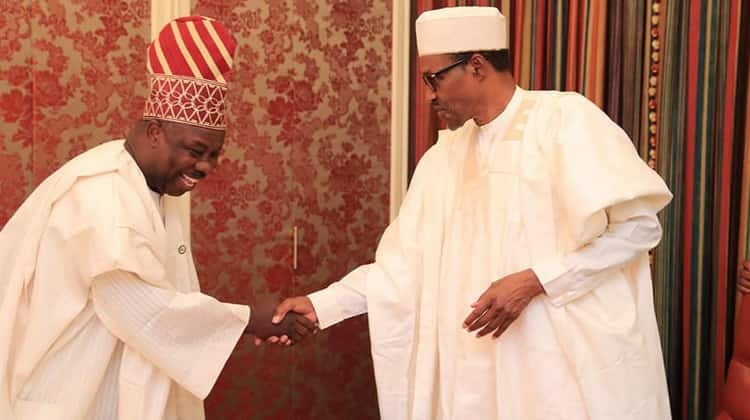 President Muhammadu Buhari and the Ogun state governor, Ibikunle Amosun, are meeting again at the Presidential Villa, Abuja. Amosun is one of the governors elected on the platform of the ruling All Progressives Congress (APC) aggrieved by the outcome of the party’s primary elections, Punch reports. The meeting was believed to be a continuation of efforts aimed at resolving the crisis that trailed the primary elections of the APC across the country. Asked about claims he and Okorocha planned Comrade Adams Oshiomhole’s investigation, Amosun said: “I think you are probably giving me an oversight role and I am not a security person, so clearly I think that question will not be for me.